Author: IUCN Global Gender Office. (2012). Abstract: This publication shares IUCN’s experiences in developing the world’s first gender-responsive national strategies and roadmaps on climate change. 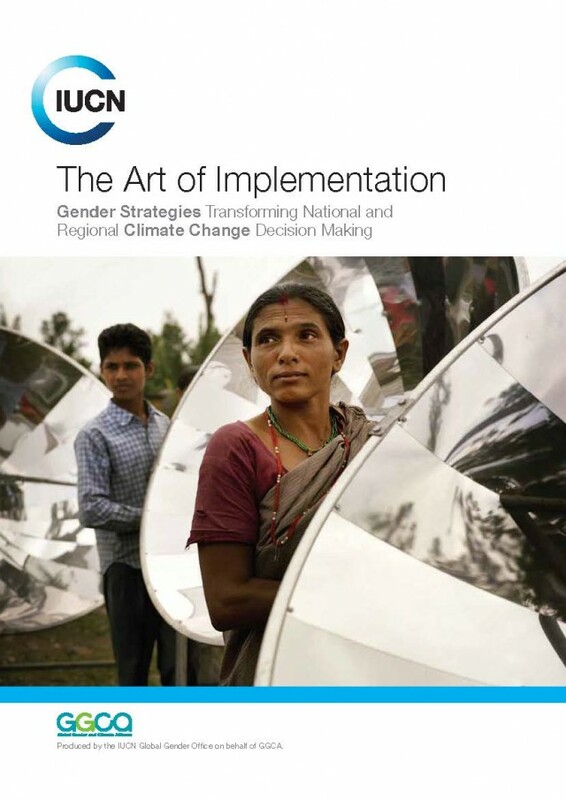 Different sections outline steps and elements of creating a climate change gender action plan (ccGAP) or REDD+ roadmap; present principles behind the strategies and what has worked best; detailed case studies highlighting sectors that demonstrate the gender dimensions of climate change in different national contexts; and provide recommendations on how to move forward.